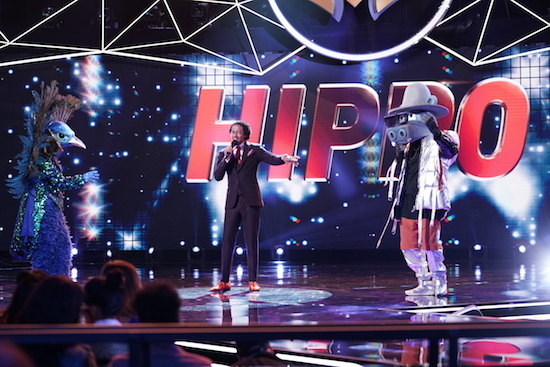 THE MASKED SINGER: Host Nick Cannon and Hippo in the “Mask On Face Off” series premiere of THE MASKED SINGER airing Wednesday, Jan 2 (9:00-10:00 PM ET/PT) on FOX. © 2019 FOX Broadcasting. CR: Michael Becker / FOX. Fox’s ambitious new reality series THE MASKED SINGER is trotting out talented singers to win over America—and a panel of judges—but it comes with a twist: the celebrities are cloaked in head-to-toe costume. THE MASKED SINGER, the new reality competition series on Fox, is straight-up bonkers. 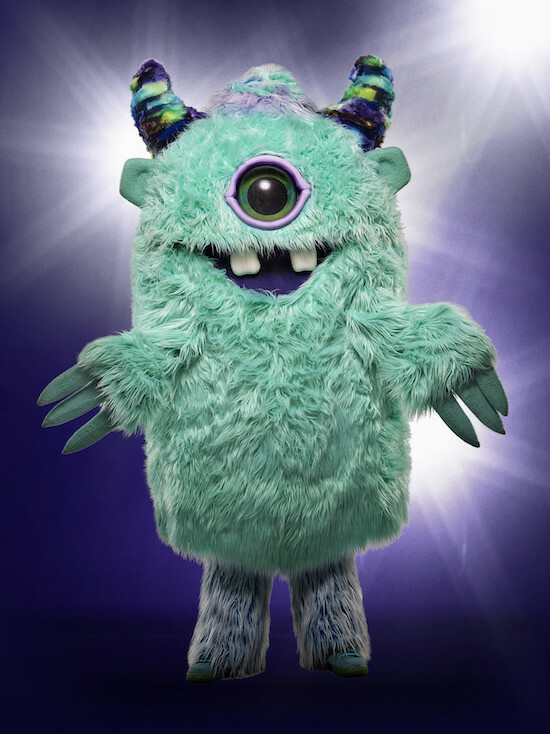 MASKED SINGER: Monster. © 2018 FOX Broadcasting. Cr: Michael Becker / FOX.